Classes at Los Cenzontles are rigorous and provide a rich, cultural foundation to inspire pride and confidence in future leaders and ensure the survival of authentic Mexican art forms.We believe that traditional culture should not simply be a cultural display, but be a vehicle for deeper and more relevant modes of self-expression. We provide 21 group classes weekly in music, dance, and arts and crafts in a variety of regional Mexican and Latin styles. Our classes are small and each student receives individual attention. We also offer rigorous private lessons. Please check our current schedule to sign up for a class. Los Cenzontles immerses students into ensemble playing as soon as possible. This helps the children put music into an environment where they learn from maestros as well as each other. It is also a lot of fun. The ensembles are given plenty of opportunities to perform at events, motivating students to practice and better hone their skills. 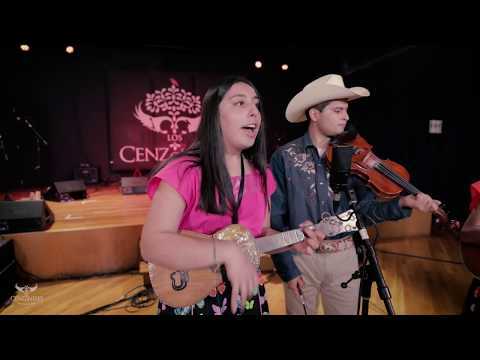 The ultimate goal for many Los Cenzontles students is to become a member of the touring group and to be given the opportunity to play in major festivals across the country and in Mexico. SIGN UP for a class by stopping by our center, emailing Fabiola Trujillo or calling 510.233.8015. Los Cenzontles provides lecture demonstrations and teacher training at scores of schools and community organizations throughout the nation. Additionally, we can provide a screening of our award winning documentary series and schedule a performance. To arrange a visit, schedule a screening or a performance please contact us here contact@loscenzontles.